Five months later, Gov. 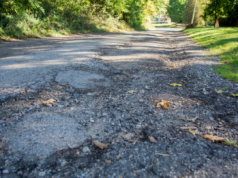 Gretchen Whitmer pro­posed a 45 cents-per-gallon increase to the Michigan gas tax in the latest attempt to repair the state’s crum­bling roads. This increase would place Michigan’s gas tax at 71.3 cents-per-gallon — the highest in the U.S. (a number that doesn’t even include the 18.4 cent-per-gallon federal gas tax) and is esti­mated to raise $2 billion annually for Michigan roads. The Michigan leg­is­lature should reject this hike in favor of better policy solu­tions. 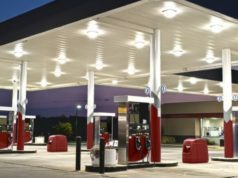 Whitmer’s latest pro­posal would increase the state gas tax 15 cents-per-gallon every six months until the 45 cent mark is reached. To offset this increase, Whitmer pro­posed dou­bling the earned income tax credit, but most voters aren’t con­vinced. This tax increase is more than just unpopular with con­stituents: It fails to address the real problems asso­ciated with Michigan roadways. While having four seasons is typ­i­cally con­sidered a luxury, the accom­pa­nying freeze-thaw cycle com­bined with local soil con­di­tions is dis­as­trous for Michigan roads. They take an addi­tional pounding year round from trucks that weigh as much as 164,000 pounds, the highest limit in the nation according to the Detroit Free Press. Most res­i­dents under­stand the decay of the roads, but Uni­versity of Michigan econ­omist Chris Douglas sug­gests the problem is not as bad as it seems. In a recent report pub­lished by the Mackinac Policy Center, Douglas stated that 75 percent of trun­kline roads —those that begin with I, US, or M — are in either good or fair con­dition. These roads carry an esti­mated 53 percent of Michigan’s pas­senger traffic and 75 percent of truck traffic. The real problem, he sug­gests, lies in county and local roads, in which 34 and 46 percent are in poor con­dition respec­tively. As Douglas explains in his report, public roads present a public goods problem due to their non-excludable nature. In other words, you can’t stop non-paying people from using the roads. Douglas sug­gests that those who use the roads the most should pay the most. But wait a minute! Isn’t that exactly what Whitmer’s gas tax increase would do? It’s true: under a system of high gas taxes, those who drive the most pay the most. In Michigan, however, trucks inflict far more damage to roads than the average pas­senger vehicle and thus, an increase in the gas tax would place burden on the wrong group. According to the Michigan Department of Trans­portation, the average pas­senger vehicle cur­rently does less than 1 cent of damage per mile driven, while paying 3 cents per mile driven in gas taxes and reg­is­tration fees. The average truck, however, does any­where from 20 to 60 cents of damage per mile driven while only paying 11 cents-per-mile in fuel taxes and reg­is­tration fees. In his report, Douglas pro­poses a list of policy changes. While not all of them are excellent, they are much preferable to Whitmer’s plan. Three of these policies, in par­ticular, would be much more effective at raising revenue and inter­nal­izing the costs of public roads than Whitmer’s pro­posed gas tax. Douglas’s first pro­posal is to use the sales taxes from fuel pur­chases to fund road con­struction. Cur­rently, 72.8 percent of the revenue from Michigan’s 6 percent sales tax goes towards public edu­cation, according to the State of Michigan House Fiscal Agency. While such a pro­posal would redirect some funds away from edu­cation, public school dis­tricts have many other sources of funding that can be uti­lized. This policy is admit­tedly much easier said than done. Diverting funding from edu­cation is never polit­i­cally popular, but large problems require sac­ri­ficial solu­tions. The second of Douglas’s pro­posals that state leg­is­lature should adopt the expansion of the weight classes for vehicle reg­is­tration, par­tic­u­larly for trucks, and the low­ering of the maximum weight allowed on Michigan roadways. The Michigan Department of Trans­portation (MDOT) jus­tifies their current standard by saying a double tractor semi-truck does less road damage than two single tractor semi-trucks. Low­ering the max weight would add an esti­mated 15,000 trucks to Michigan roadways according to MDOT. While there would surely be a tradeoff in terms of increased shipping costs, traffic, and road damage, the increase in revenue from 15,000 more vehicle reg­is­tra­tions a year, as well increase in revenue from fuel taxes, would more than justify the policy change. This method of raising revenue is more eco­nom­i­cally effi­cient as it targets the trucks that do the most damage to Michigan roads rather than the already heavily-bur­dened pas­senger car driver. Finally, Michigan should follow the lead of Oregon and pilot a Vehicle Miles Driven Program which is esti­mated to add $340 million in revenue over the next ten years according to the Oregon Department of Trans­portation. Such a program would use either GPS or odometer tracking to charge pas­senger vehicles and trucks alike for their use of Michigan roads. All three of these policy pro­posals are superior to Whitmer’s pro­posed gas tax increase. 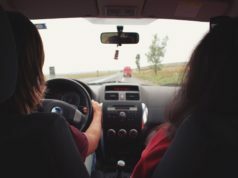 These pro­posals would suc­cess­fully inter­nalize many of the costs asso­ciated with main­taining public roads without over­bur­dening the average driver that does little damage. Like any policy, these changes would involve trade-offs espe­cially in the form of higher shipping costs that would be trans­ferred, in part, to con­sumer goods. While this is not ideal, it is a superior alter­native to the current state of affairs or the solution pro­posed by the governor’s office. Michigan roads will always be costly to maintain, but as the auto capital of the world, we must pursue cre­ative solu­tions to keep the state moving forward. Michigan already has more tax revenue to spend, the net result of the improving economy. They don’t need to raise taxes, revenue has increased nat­u­rally. Finally, Bill Schuette accused Gretchen Whitmer of planning a gas tax increase during the debate and she said it wasn’t true. Bill was correct and Gretchen Whitmer is just another Democrat liar, taxer and spender. It appears that those of us who sug­gested she’s just another Jenni Granholm were correct, looks like 4 wasted years for Michigan ahead.